Quality dog training delivered in a timely manner. Fewer frustrations. Time saving. Board and Train dog training programs are simply the easiest and quickest way to your new well mannered and obedient K9 Companion! 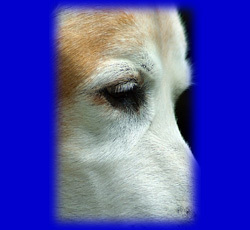 Send your dog to K9CC for daily, personalized dog training with your specific goals in mind. Receive the benefit of having a fully trained dog, without having to invest a lot of time from your busy schedule. Have K9CC Train Your Dog For You! K9CC's Board and Train dog training program is the most effective Board and Train program of its kind. We only take a limited number of dogs in our Board and Train program to give your dog the attention they deserve. Your dog is made part of our family and stays in our personal home, not a kennel. We train your dog in an environment with the same distractions and challenges you face. Standard Board and Train dog training programs covering basic pet obedience and manners include a three week 'on leash' program and six week 'off leash' program. Custom Board and Train programs for advanced training goals are also available. Contact K9CC today for more details! Your dog will perform excellent for us, but, you will need to transfer that success to your relationship with your dog. You will receive educational resources to study while your dog is being trained. Upon completion of your dogs training time with us, we will help reintroduce your dog back into your home and learn the proper handling skill to maintain the obedience you will see in your dog. All of our Board and Train programs are followed up with private home dog training lessons to assure a level of success that will last a lifetime. 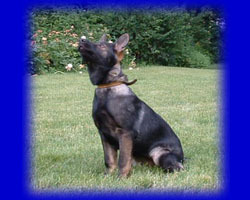 If you have the time to train your own dog, K9CC's Private Home Dog Training programs are preferred. Training your own dog is a great relationship building experience that also teaches you the proper handling to go along with your dog. Often, pet owners need more training than their dogs!! !